Stay connected with us, learn more about how we're doing, and come back for a visit. Working in a sustainability-related field or industry? Send an email to sustainability@harvard.edu and we may feature you as one of our Harvard Greenpreneurs. 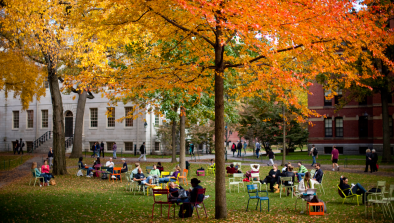 Did you know Harvard now has a University-wide Sustainability Plan? Track our progress on our Sustainability Report website which is updated annually. Harvard alumni may post jobs and internships to Crimson Careers free of charge. Find talented, motivated Harvard students interested in working in energy and the environment. 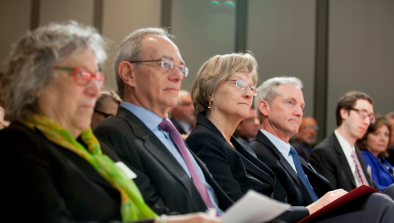 The Harvard Alumni Alliance for the Environment was the Harvard Alumni Association shared interest group dedicated to sustainability and the environment, but is inactive at the moment. Most events are free and open to the Harvard community, so if you're in the Cambridge area stop by!